95% of your patients will check a text message within 5 minutes of receiving it. Email marketing is a fast and easy way to keep in touch with your patients. Reach thousands of patients through Facebook, Linkedin, Twitter. Automated outbound calls with your own pre-recorded messages. 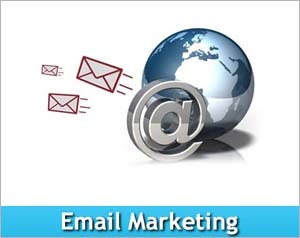 Email marketing is a fast and easy way to keep in touch with your patients. We help you take email marketing to a higher level by giving you ready-to-use scripts that can be used for interactive and personalized communication with your patients. Built by private practice owners who understand your time constraints, this service was built to provide you with the tools that will help you grow your practice. 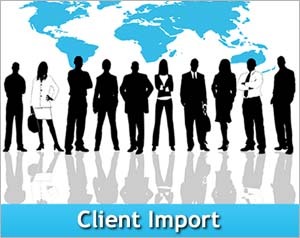 We will not overwhelm you with several unnecessary features that can be difficult to manage. Clinical Contact provides you with ready-to-use scripts that compel patients to contact you, generating more referrals and dramatically boost patient retention rate and compliance. The scripts we provide have been tried and tested to help you maximize your return on investment. Thesescripts are an exclusive benefit that is reserved for Clinical Contact members. This is something that no other email or mobile / voice marketing service can provide. 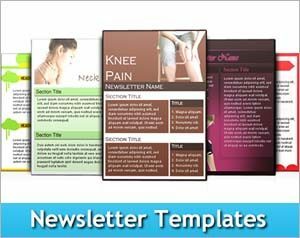 With Clinical Contact’s easy to use, self-serve email platform and sophisticated email delivery servers (over 99% email delivery rate), you can use your own custom template or choose from hundreds of email templates to send personalized, targeted messages to your patients. The best part of the Clinical Contact technology is its complete integration of email, text messaging and social networking. This is unmatched in the world of private practice. For instance, you can quickly send appointment reminders, announcements of upcoming events, contests and promotions and then follow them up with voice reminders to maximize the impact of your message. You can also spread good news via social media such as Facebook and Twitter, and stay one step ahead of the competition using this revolutionary technology. Clinical Contact is very affordable and for about the same price you pay for one of these services elsewhere, you get them ALL – email, mobile text, instant message and social marketing. Clean-up lists, import ( for opt-in only) and export lists. Best of all, you will have access to our “swipe and deploy” email marketing campaigns and autoresponders to boost the effectiveness of YOUR marketing campaigns. Consolidate your SMS, email and social media campaigns with Clinical Contact. We make it easy for you to import the email addresses and cellphone numbers of your patients for fast, automated follow up. Your data is 100% secure using our state of the art, HIPAA compliant SSL servers. The privacy of your patient and client data is our number one priority. This system was built by private practice owners just like you. We understand the critical nature of patient data, and are completely HIPAA complaint. At Clinical Contact, we follow industry protocols for the protection of contact information. We have leased the most sophisticated, encrypted servers to store information. This entire system is supervised by our staff in North America and Canada 24/7, so you can be assured that you are in good hands.